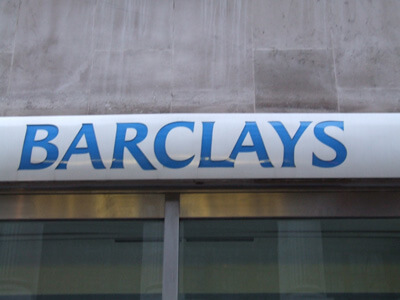 Barclays PLC (ADR) (NYSE:BCS) has announced that due to the Brexit, it is splitting its euro rates trading team. The bank has indicated that it will be relocating a section of the unit which trades eurozone government interest rate swaps and bonds away from its main London trading floor. The move is aimed at allowing the bank continue trading in euro securities with its European clients even after the UK has moved out of the EU in 2019 without transition agreement or trade deal to maintain trading access EU’s single market. The step taken by the bank indicates the level of uncertainly over the position of London as a dominant center for euro securities trading. The European Central Bank and European Commission are pushing to have the EU retain direct oversight and regulatory functions over clearing such assets. Minus a free trade agreement between the EU and the UK to maintain mutual market accessible for financial services, many banks are expected to lose their “passport” which gives them the authority to trade securities in Europe. Both parties have shown a lot of commitment to a transition agreement in a bid to avoid a “cliff edge” Brexit. Both sides are working on maintaining the status quo up to December 2020. However, such an agreement may not come into effect until very close to the date when the Brexit is fully implemented in March 2019. The bank is yet to decide the location for its new euro rates trading desk. It is however expected to involve less than 10 traders situated in the Eurozone. The bank will however maintain London as its main hub for trading of euro rates. The team leader will be based in London also. In an emailed statement, the bank said that its main priority is to meet the needs of its customers. It added that it is planning and prepared for all contingencies that will come with Brexit so as to make sure they maintain seamless services to their customers. The bank intends to make Dublin its main EU hub away from London. It will add about 150 to 200 staff in the new location in the Irish capital.